In case you didn’t know, the iPhone Camera defaults to storing GPS and geographic tagging information in the EXIF data of your iPhone images. If you don’t want this type of location information stored in a pictures EXIF data, you can disable the feature easily in iOS settings, which essentially prevents the image from keeping location details within the file and can help to increase privacy. We’ll cover how to make this settings adjustment on all versions of iOS that support the location feature. It’s important to point this settings adjustment only changes photos taken with the Camera app on an iPhone. If you want to prevent other apps from being able to geotag images taken within the respective application, say like Instagram, you’d need to locate that app from the same Privacy > Location Services list and disable those apps as well. Do not overlook that if you are aiming to maintain maximum privacy with geographic location data. You’ll find this privacy setting in all modern iOS versions, from 6, 7, iOS 8, onward. 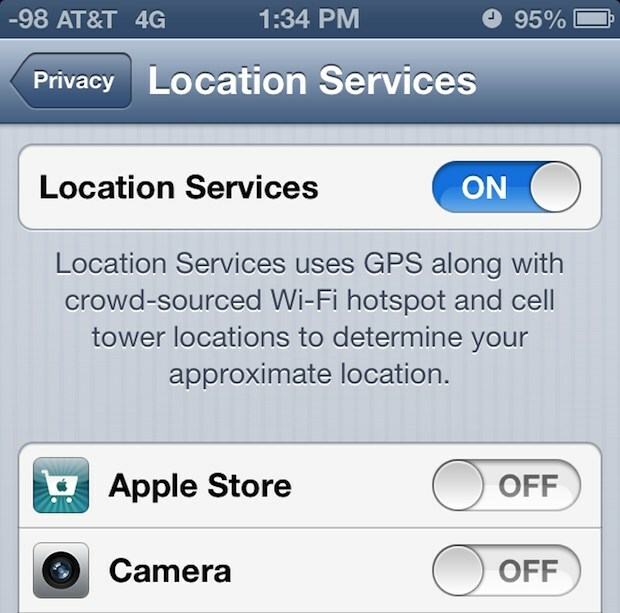 New versions of iOS actually gave “Location Services” it’s own separate preference settings within the Privacy section of Settings app, whereas old versions of iOS still allow you to disable the settings but you have to go deeper into the iOS preferences to do so, which we’ll cover next. 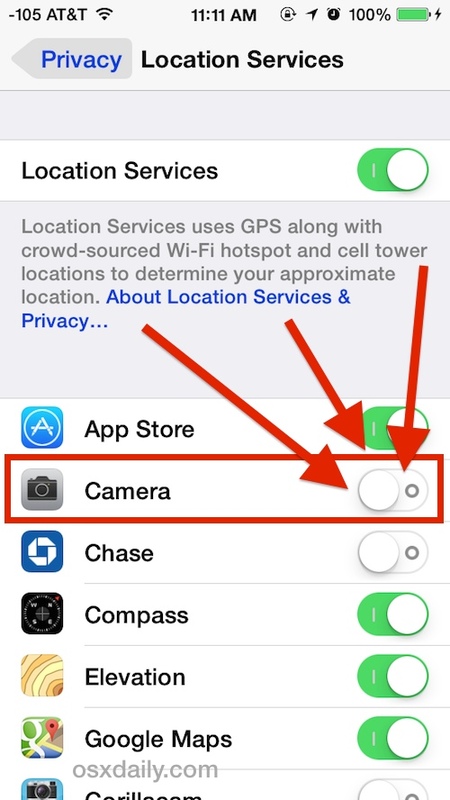 The appearance of these Camera location data and privacy Settings also has changed slightly, but again the functionality remains the same across all versions of iOS that include the ability to toggle the setting on or off. Images taken from the iPhone will now no longer include GPS and location data when taking photos, and your privacy concerns should be alleviated. For those interested, it’s fairly easy to see the iPhone photo GPS data by using the Preview app or any other EXIF viewer on the Mac. Likewise, it’s also fairly easy to strip the EXIF details using applications as well, so if you want to remove location data from past images that’s what you’d want to do. 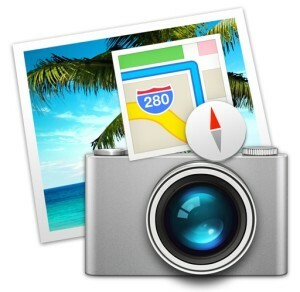 There is an alternative to turning off geotagging on your iPhone. I use a free application called Pixelgarde Photo Privacy Editor for iPhone, which lets me control when I share this type of information in my photos. It’s a simple tool and its free so why not use it? My iphone did not follow these instructions to turn this off. My were: Setting, General, Restriction, enter pass code and then enter again – Enable Restrictions – Location – Then Camera – turn off. That’s why I love my Android. I use an app named “GPS Privacy” that automatically deletes the GPS location tags if the photo is taken in a privacy area – like around your home, school, work, etc. This way you don’t have to remember whether you have the GPS tags on or off. Simply define your privacy areas, and your pictures won’t have GPS coordinates when made in these zones.